I only managed to use up a handful of products in August 2017. It has been a distracting month all around. I hope September is more stable. 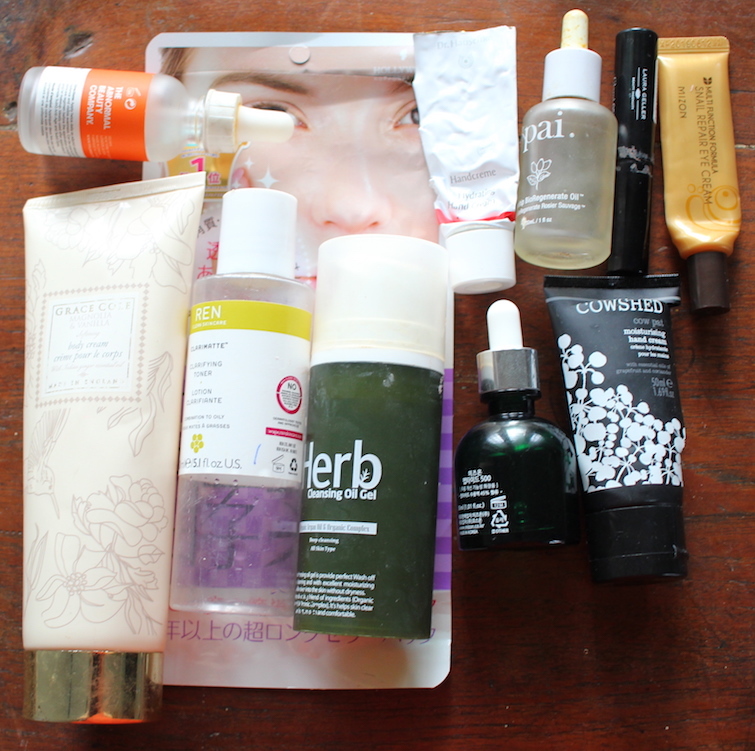 Among my empties for August 2017 is one of the best facial oils ever, and the best rosehip oil I've tried (out of three different brands). Not much by way of makeup in here, save for the one mini-sized item. You'll see it all below. Scroll down for the beauty products I used up in August 2017, and my mini-reviews in each. Here's my August 2017 empties video. As I've mentioned, this is in my new beauty room, which was devoid of furniture when I foolishly shot a few videos, so there's a bit of an echo (redecoration underway from the next week). Sorry about that! Please do subscribe and leave me a thumbs-up. So that's what I used up in August 2017 - not as many products as usual, as I told you. What did you use up and love in August? Do tell me in the Disqus comments widget below.